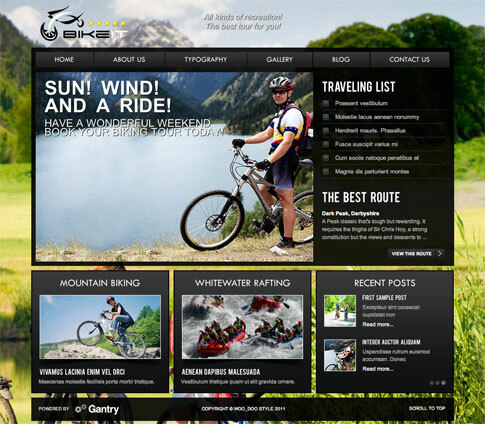 BikeIT is a premium WordPress theme based on the Gantry Framework that utilizes numerous popular plugins to provide you with a modern, clean looking business template. One really cool feature that BikeIT premium theme utilizes is the background image rotator, that creates an ever-changing backdrop to your theme to keep things looking fresh and engaging. Check out the features below and see a live demo at the end of the post for more information. Come back and check out the showcase as we find more sites from around the web using BikeIT.